There's nothing like a bright summer day. And there nothing like receiving a colorful basket of summer flowers that will make any day brighter. 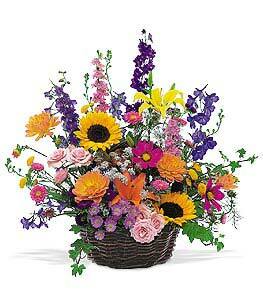 Asters, chrysanthemums, lilies, sunflowers, spray roses and more arrive in a wicker basket.